Canterbury Roman Museum’s story began on what appeared to be a rather unremarkable day in 1868. 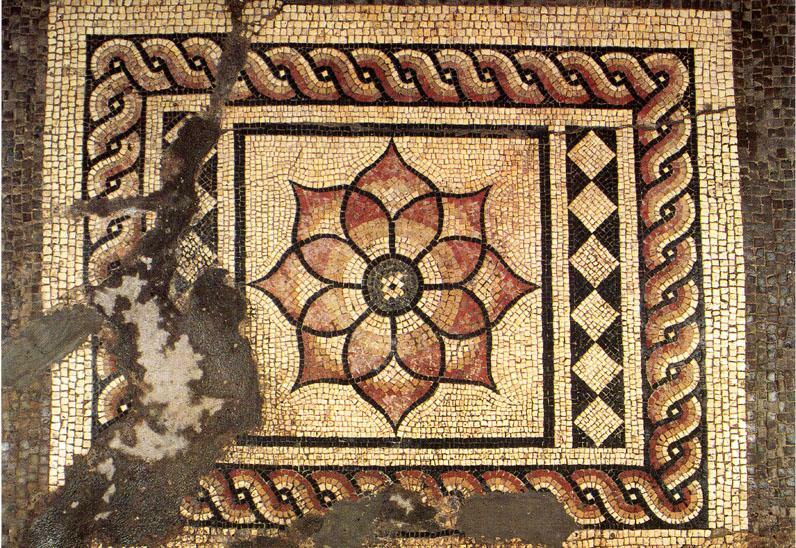 When workmen, digging trenches for a new drainage system, reached eight feet below street level they unwittingly unearthed a beautifully preserved Roman floor mosaic. Fast-forward to the aftermath of the Second World War, when excavations began under the cellars of shops destroyed by bombing, and another startling discovery was made. Archaeologists had just revealed an under-floor heating system, wall paintings, and a dazzling mosaic corridor. The site was no longer an isolated floor mosaic, but the remains of a very large, and no doubt very costly, Roman Town House. Over time a museum arose to encompass the remains and preserve what is now known to be one of the UK’s only remaining in situ Roman pavement mosaics and a Scheduled Ancient Monument.